Adventure tour Around Iceland in the Winter Season! See the location of the TV serie Trapped, Northern Lights, Husky Dogs, Glaciers, hot bathing springs, lovely hotels and a true Taste of Iceland. Travelling around Iceland in off season has its advantages and of course challenges! The good point is that you will have most of the natural wonders to yourself and the chances are excellent for spotting the Northern Lights dancing across the sky. 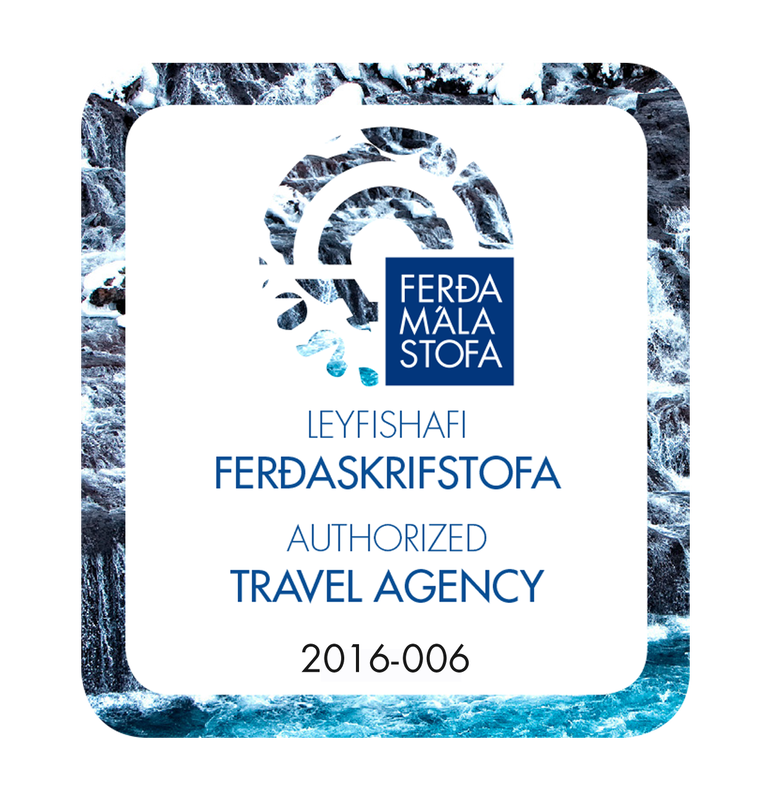 Weather of course can lead to changes in the itinerary but past experience has shown that circling Iceland in winter in well equipped buses and with expert drivers is absolutely possible and actually a thrilling experience! We have chosen beautiful hotels for this tour - to make your journey through the snow and under the Northern Lights as romantic and luxurious as possible. Think of touring during the day and relaxing in the hot tub and sauna in the evening. Imagine travelling through the glittering snow and relaxing in the geothermal natural hot springs of the Secret Lagoon. Price: Depending on group size. Please send us a request for your group! Individual transfer from Keflavik airport to Reykjavik. 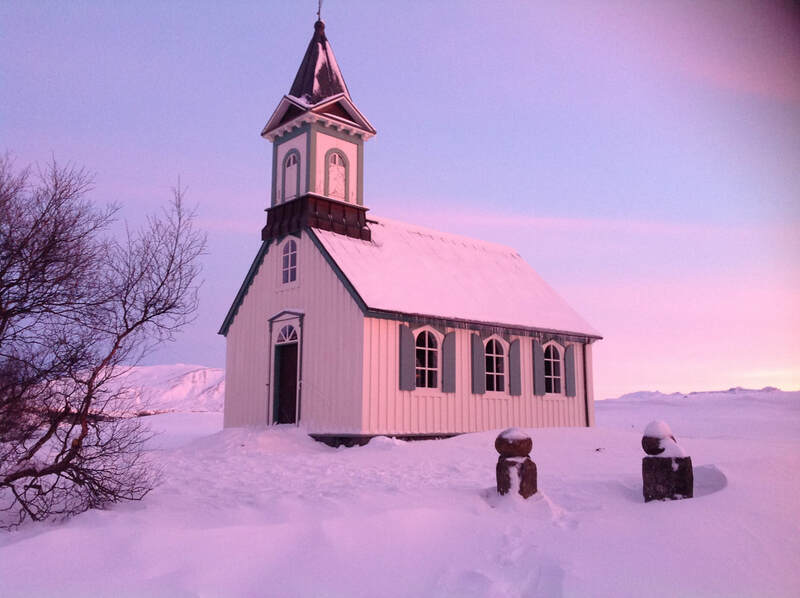 Pick up at your accommodation in the early morning by our guide and drive along the ring road through the beautiful Borgarfjörður area and Skagafjörður county to Akureyri, the main town in North Iceland. During the drive we will stop for optional lunch at a local farm as well as go on a leisure walk, depending on the weather. Today we enjoy a local adventures in North Iceland. We drive to the charming Siglufjörður village and see the location of the TV serie; Trapped, go beer tasting at a local brewery (with an optional beer bath!) and pet farm animals at a local farm with tasting of Icelandic delicatessen. Rest of the day will enjoy the charming town of Akureyri. In the morning we leave Akureyri, the capital of the North and continue our journey. We drive to Lake Mývatn with a stop at the breathtaking Goðafoss waterfall. We spend some time around Lake Mývatn to visit the Pseudocraters of Skútustaðir and Dimmuborgir, the bizarre lavaformations and home to the Icelandic Yule Lads On our way to the Mývatn Nature Baths we stop at the snow dogs unchained kennel at the farm Heiði were Siberian Husky sled dogs are bred and trained. All of their dogs are very friendly and love to run - they also enjoy a good belly-rub.We end this day by relaxing in the Mývatn Nature baths. At the remote farm Möðrudalur we are invited to a „Taste of Iceland“ before continuing to Seyðisfjörður, a picturesque town with graceful historic buildings in the Norwegian style and setting to the TV crime story „Trapped“(depending on road conditions). At Egilsstaðir village we stay at the exquisite Lake Hotel with views over Lagarfljót Lake and Lake SPA. 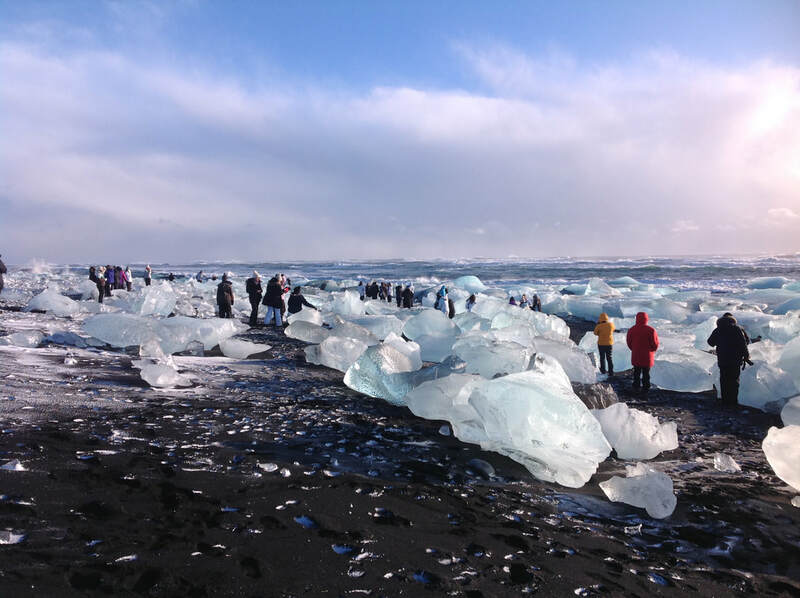 Today´s route will take us along the South coast with its black lava beaches, stunning waterfalls and to the lovely Skógar Heritage museum before we check into our hotel. The hotel is situated beautifully in green meadows far from any light pollution, making it a perfect spot for Northern Lights hunting. Today is going to be a day filled with highlights! We start the day with a visit to an ICE – SAR Team (Mountain Search and Rescue) before enjoying a bath in the natural hot springs of the Secret Lagoon. We will visit the Golden Waterfall Gullfoss, the hot spring area of Geysir and Nationalpark Thingvellir right on top of the midatlantic ridge. Arrival in Reykjavík in the early evening and drop off at our accommodation in the capital area. Individual transfer to Keflavik airport. Please note we can arrange your transfer to and from the International airport, also via the Blue Lagoon if preferred (on arrival or departure day).